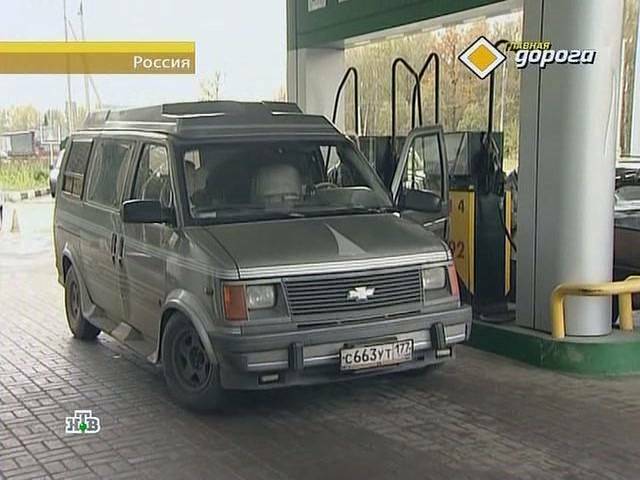 IMCDb.org: 1993 Chevrolet Astro EXT in "Glavnaya Doroga, 2006-2019"
Well spotted, but those "conversion vans" were not readily exported and sold in Europe. It's probably a US-spec Astro, privately imported to Europe (maybe Scandinavia or Holland) and quickly modified to conform to local rules. Sometimes just painting the side markers in black did the trick. Naah, I'm not sure about that. There are some existing Link to "suchen.mobile.de" and the very few Astro's, I've seen here in the past, had also these "European spec" details and were obviously not US-spec cars, which were left here from US-servicemen or so. Though there were indeed Astros, coming to Europe on this way. And several of them were offered via www.vebeg.de from the US military. Just last year there was a bunch of them for sale, together with some Tauruses, Escorts, Tempos, Econollines, etc. - all US-spec with US-registrations (so an official import was required). 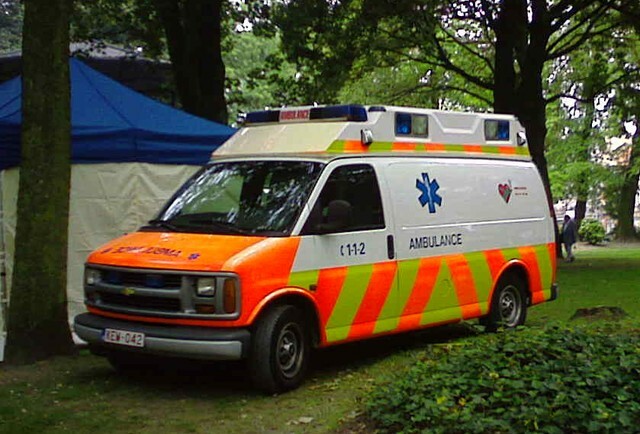 US ambulances: Link to "www.vebeg.de"
Strange to have some of these, as usually that role is played by VW & Mercedes vans. Indeed, in Casualty all the Ambulances used to be American Chevy Vans but we don't have any of those on the Casualty page here. Hmm, the German Wikipedia says only something about the the export to Japan and that it was really popular there, though it was only available as LHD. But: here are some, if you see the mobile.de-advertises, and a few dozen is quite a lot for a model without any official import... O.k., at some advertises is noticed "US-Zulassung" = Us-registrtion", but not at all of them. 1990-94, it has slots below the grille.